www.amazon.com/dp/B010RD2PX4 "I hope you don't have much planned for the next few days, because as soon as I promised I would stop reading and go to bed, I would end up grabbing my iPad for just one more chapter..." -Kristen Torgerson "This story is better than fiction! Pour yourself a drink, light up a coffin stick, and curl up with this twisted historical tale, be ready you won't be able to set it down!" -DJ6UAL An Irish Girl's Blog "ABSOLUTELY POSITIVELY FABULOUS. I have always been a big fan of true crime stories and this book was one of the very, very best. Once I started reading, I absolutely couldn't stop until it was over. Also, what an unexpected and completely mind-blowing conclusion. WOW. This is a definite must read." 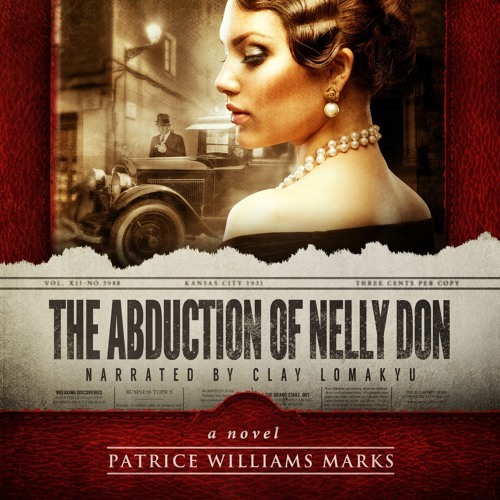 -Goodreads Reviewer, chelepissbcglobal.net Pulse-Pounding Book Trailer: Copy & Paste URL Into Browser: Nelly.PatriceWilliamsMarks.com BASED ON A TRUE STORY: During the Great Depression, high-profile kidnappings became more and more commonplace. On December 17, 1931, self-made millionaire fashion designer Nell Donnelly becomes the next casualty. Senator Reed, a family friend, steps in to lead the investigation. Impatient with ineffective police efforts, he is willing to go to extraordinary measures. How extraordinary? How about enlisting the help of two of Kansas City's most notorious crime bosses. This deal with two devils may very well be Reed's downfall. But more importantly, will the involvement of hardened gangsters lead to Nell Donnelly's freedom or her demise?